avalanche-prone regions. Move sideways around obstacles. 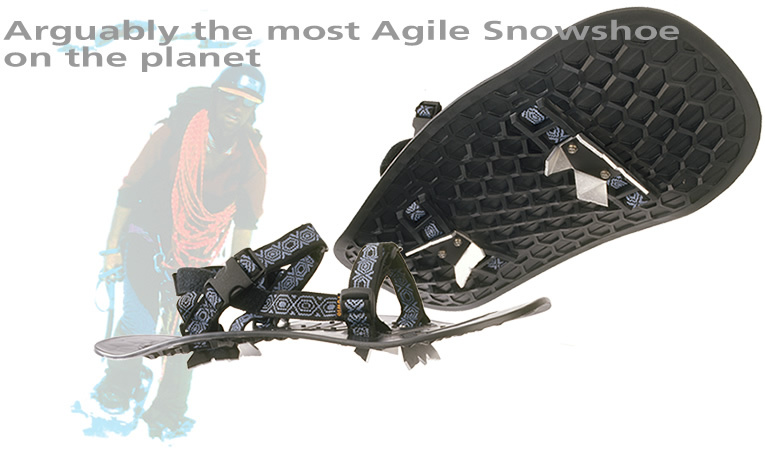 Yowie Agility is the the toughest, minimalist, yet mind-blowing easy-to-use snowshoe. Website of Yowie Company, designer and manufacturer of the Yowie Snowshoe.